Turn off the mainstream media. Support instead noncommercial investigative journalism with transparent funding that puts everything they produce on the web in the public domain. Support citizen-directed subsidies for journalism, as outlined below. Incarcerations: The incarceration rate in the US today is five times what it was 40 years ago. The changes in law that created that increase were driven by changes in the content of television news to emphasize the police blotter: That kind of news is cheap to produce, attracts an audience, and reduces the impulse to provide substantive coverage of political issues, which would likely threaten people who control funding for the media. National defense: The suicide mass murders of September 11, 2001 and the existence of the Islamic State today are products of US support for the Saudi royal family since the administration of Franklin Roosevelt in the 1930s. We have enemies, because we have friends like these. The rationale behind other aspects of national defense policies are similarly distorted to paint the black white and the white black to avoid offending people with substantial control over media funding. Global warming: Almost 70,000 research papers were published in 2013 and 2014 discussing climate change. Only four, not 400, not 40,000, claimed that global warming was not a product of human activity. If the mainstream commercial media in the US accurately portrayed the scientific consensus on this issue, they'd lose advertising and could not sell as many public relations infomercials to the major fossil fuel companies. Health care: Companies in the so-called ethical health care industry in the US advertise. Nearly all the senior executives in these companies would lose money if the US public understood why the US has the worst public health of the advanced industrialized nations and pays double for it. Research psychologist Daniel Kahneman won the 2002 Nobel Memorial Prize in Economics for research showing that people too often believe false reports that are consistent with their preconceptions and too seldom look for other information when they should. This explains why people place far more credence in media that have inherent conflicts of interest: They don't think about who controls media budgets and how that might influence news coverage. We can't expect media organizations to advertise their conflicts of interest. If Chenoweth's 3.5% rule applies here, we will get substantial improvement in the media if only 3.5% of the population in any state or locality to collaborate in turning off the mainstream media and supporting more responsible alternatives. African Americans represent 12.6 percent of the US and Latinos 17 percent.2 Combined, they represent 29 percent.3 If a quarter of this total acts together to demand a change, the number would double Chenoweth's 3.5% rule. And that's without considering how many people concerned with national defense, global warming, health care, or any number of other issues might want to join a movement for better media. We can do this. Sí, se puede. McChesney and Nichols have made a strong case that the best-functioning democracies tend to have substantial subsidies for journalism. They noted that the US has three positive experiences with nation building: Its own history and that of Germany and Japan after World War II. Under the US Postal Service Act of 1792, newspapers were delivered up to 100 miles for a penny and beyond for 1.5 cents, when first class postage was between 6 and 25 cents depending on distance. This subsidy was citizen-directed and did not discriminate on content. The cost was roughly 0.2% of the economy (GDP, Gross Domestic Product), or approximately $100 per person per year in today's money.4 If government is roughly 20 percent of the economy, then this corresponds to roughly 1 percent of the government budget, which is very roughly what the government spends on accounting. These subsidies encouraged literacy and democratic participation while limiting political corruption, all of which helped give the brand new United States of America one of the fastest growing economics in the world at that time. McChesney and Nichols support some form of citizen-directed subsidies for journalism. One proposal is for an “Internet news voucher”, which could operate like a tax rebate (not a deduction) on income tax. This could not easily be used by a government with only a sales tax. Bruce Ackerman suggested distributing subsidies in proportion to qualified Internet clicks. In theory, the exact physical location of each IP (Internet Protocol) address could be determined. However, that information is currently protected in some cases out of concern for privacy. For present purposes, it's enough to say that some system could be found so any national state or local government or any business could provide subsidies for qualifying media selected by people living in a specified jurisdiction or service area. The incarceration rate in the US is five times today what it was 40 years ago.10 The accompanying plot (black = male, green = female, red = combined) shows that the rate was fairly stable at 0.1 percent of the US population for the half century between 1925 and 1975. It began to rise around 1973, stabilizing at roughly 0.5 percent some time between 1999 and 2003. The Wikipedia article on this offers only one explanation for why this happened: Changes in management policies of the mainstream commercial media. Mainstream broadcasters found they could fill their nightly news with the police blotter and libel poor people without losing audience share. More serious news would threaten to offend a major advertiser. As noted above with the “3.5% rule”, the people most impacted by this massive increase in incarcerations recently are African Americans and Latinos, and the number of people in both groups far exceed the 3.5% of the population that Chenoweth says are sufficient to force major change. Scientists estimate that in the 650,000 years prior to 1950, atmospheric carbon dioxide never exceeded 300 parts per million (ppm). Now it's almost 400.11 In 2013 and 2014 almost 70,000 papers on climate change were reportedly published in refereed scientific journals. Only four rejected man-made global warming.12 However, the public consensus, especially in the US, is very different. Why? Because if the mainstream commercial media in the US made the public aware of this, they would offend all the fossil fuel companies that advertise with them -- and they would not be able to sell public relations campaigns denying the scientific consensus. What can people concerned about this do? Turn off commercial broadcasting and support instead noncommercial investigative journalism as discussed above. Then support citizen activism to educate others to do the same. 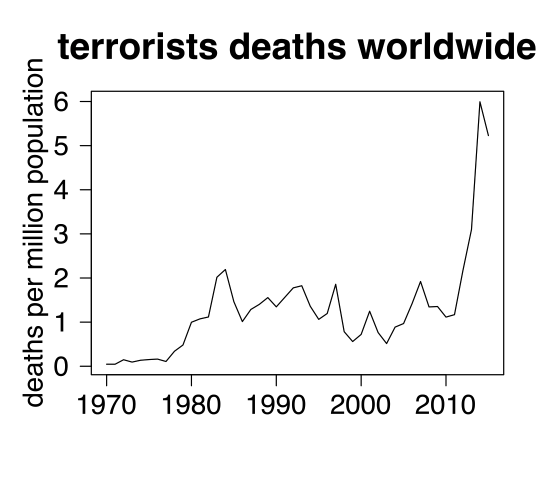 The “War on Terror” has been a very effective Marketing strategy to justify continuing and expanding US support for state terror internationally. Why? Evidently, major US multinationals prefer autocracies to democracies -- and the mainstream media do not want to bite the hands that feed them. Why are we afraid of mice? We have enemies, because we have friends like these. This suggests that an effective national defense policy might include subsidies for investigative journalism selected in proportion to qualified Internet clicks from anyone anyplace in the world. How would the world be different if prominent journalists had asked President Eisenhower why the elections scheduled for Vietnam in 1956 had not been held as required by the Geneva Accords of 1954?21 How might the world be different if a few hundred other questions like this got serious discussion among a critical mass of the electorate? A movement to turn off mainstream commercial media and support investigative journalism as outlined above could also support public debate on many other issues. How does it compare with my preconceptions? Psychologist Daniel Kahneman won the 2002 Nobel Memorial Prize in economics for seminal research that established many problems we humans create for ourselves by being too heavily influenced by what comes readily to mind.23 This helps explain why people are so gullible: It's part of the genetic heritage we share with all other species that have a nervous system. Examining the sources and evidence behind claims. This is now standard in academic research literature, non-fiction books, Wikipedia, and Le Monde Diplomatique, but is rare in other publications. Similar analyses could be extended to the economy, unemployment, education, taxes, health care, and virtually any major issue facing humanity today. But I'm not able to summarize those with incarceration, environment and national defense in four pages. 1 Erica Chenoweth, 'My Talk at TEDxBoulder: Civil Resistance and the “3.5% Rule”' (“https://rationalinsurgent.com/2013/11/04/my-talk-at-tedxboulder-civil-resistance-and-the-3-5-rule/”, accessed 2017-01-03). 2 African Americans are 12.6 percent of the US and Latinos 17 percent per Wikipedia, “Race and ethnicity in the United States” (“https://en.wikipedia.org/wiki/Race_and_ethnicity_in_the_United_States”, accessed 2017-01-03). 3 Wikipedia, “Black Hispanic and Latino Americans” (“https://en.wikipedia.org/wiki/Black_Hispanic_and_Latino_Americans”, accessed 2017-01-03). 4 Wikiversity, “Media and corruption” (“https://en.wikiversity.org/wiki/Media_and_corruption”, accessed 2017-01-06). 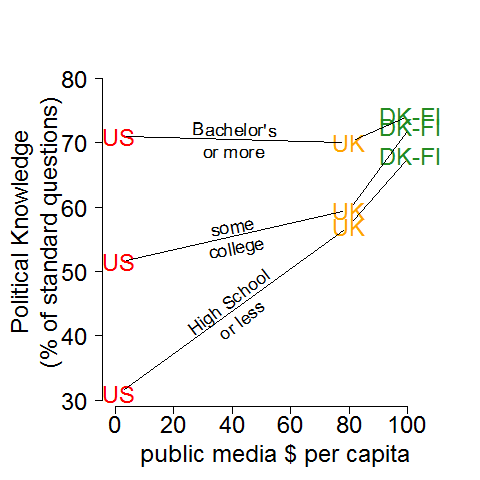 5 See Wikiversity, “Media and corruption” for further discussion of this including citations to McChesney and Nichols. 6 Sam Schulhofer-Wohl, MIguel Garrido (2009), “Do newspapers matter? Short-run and long-run evidence from the closure of the Cincinnati Post,” National Bureau of Economic Research, accessed 2017-01-19. 7 See Wikiversity, “Media and corruption”, and the references cited therein. 8 Three leading BBC personalities were forced to resign in 2003 after the “Hutton Inquiry” concluded that the Blair government had NOT “sexed up” intelligence reports, as claimed in BBC reports. Finally in 2016, the “Iraq Inquiry” reversed the Hutton Inquiry conclusions, exonerating the three who had resigned. See the Wikipedia articles on the “Hutton Inquiry” and the “Iraq Inquiry”, accessed 2017-01-19. 9 Wikipedia, “Radio Télévision Libre des Mille Collines”, accessed 2016-11-24. See also Steven Youngblood (2016) Peace journalism principles and practices (Routledge, ISBN 978-1-138-12469-1), esp. 28-29. 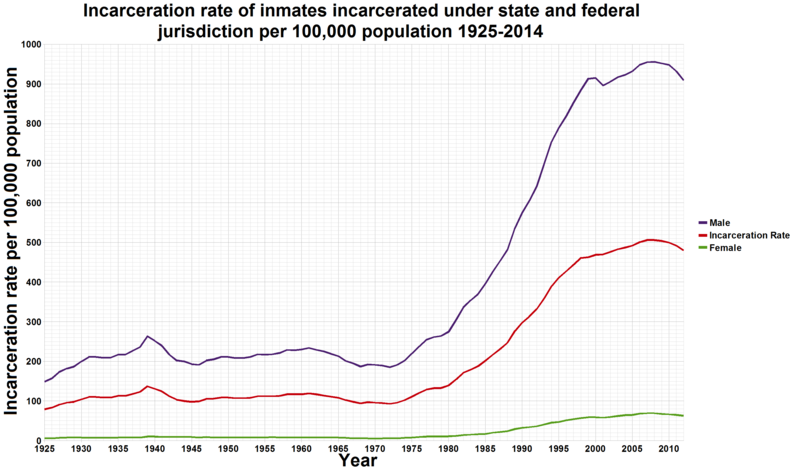 10 Wikipedia, “United States incarceration rate” (“https://en.wikipedia.org/wiki/United_States_incarceration_rate”, accessed 2017-01-03). 11 Wikipedia, “Global warming” (“https://en.wikipedia.org/wiki/Global_warming”, accessed 2017-01-04). 12 Wikipedia, “Climate change denial” (“https://en.wikipedia.org/wiki/Climate_change_denial”, accessed 2017-01-03). 13 Spencer Graves, “terrorism” in the “Ecdat” package available from the Comprehensive R Archive Network (“https://cloud.r-project.org/web/packages/Ecdat/index.html”, accessed 2017-01-04). 14 Brian Steed, “Understanding ISIS”, American Friends Service Committee of Kansas City, presentation 2016-05-19: Steed reported that violent jihadists represent between 0.03 and 0.14 percent of Islam, and at least 99.68 percent of Muslims are no more violent than people of other religions (“https://www.youtube.com/watch?v=oU74V1i29tU”, accessed 2017-01-04). 15 Wikipedia, “Robert Pape” (“https://en.wikipedia.org/wiki/Robert_Pape”, accessed 2017-01-06). 16 Wikipedia, “The 28 Pages” (“https://en.wikipedia.org/wiki/The_28_Pages”, accessed 2017-01-03). 17 Wikiversity, “Effective defense and ISIL” (“https://en.wikiversity.org/wiki/Effective_defense_and_ISIL”, accessed 2017-01-03). 18 Wikiversity, “Effective defense and ISIL”. 19 Wikiversity, “Media and corruption” (“https://en.wikiversity.org/wiki/Media_and_corruption”, accessed 2017-01-03). 20 Wikipedia, “March 1949 Syrian coup d'état” (“https://en.wikipedia.org/wiki/March_1949_Syrian_coup_d'%C3%A9tat”, accessed 2017-01-04). 22 Spencer Graves, “Restrict secrecy more than data collection”, San José Peace & Justice Center, 2014-07-18 (“https://sanjosepeace.wordpress.com/2014/07/18/restrict-secrecy-more-than-data-collection”, accessed 2017-01-04). 23. Wikipedia, “Daniel Kahneman” (“https://en.wikipedia.org/wiki/Daniel_Kahneman”, accessed 2017-01-06).